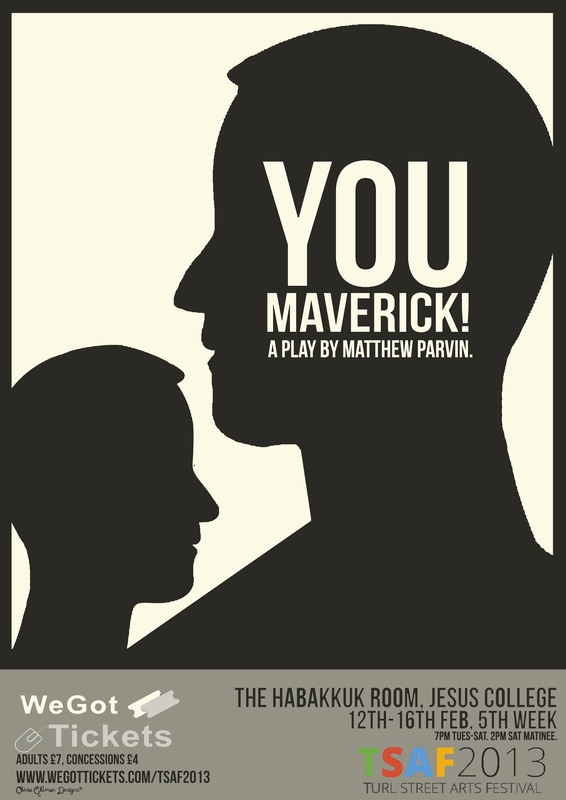 Matthew Parvin’s new play is a challenging experience for both actors and audience. Set in an Oxford college, it charts the escalation from accusations of plagiarism to homophobia between Gregory, perhaps best described as a contrarian Lad, and his bisexual victim Kasper, until a radical shift occurs in the balance of power when Kasper reveals his true colours. All of this is overseen by the rather pathetic (though profoundly well-meaning) welfare officer and member of academic staff, Timby. An especial challenge is the tone of the play. Parvin sets the serious and the comic alongside one another regularly and, whilst a couple of the jokes seemed at the expense of rather than complementary to the serious sections off which they riffed, it was usually a very productive tension. This extremity of comedy and tragedy was similarly present at the level of character. Each of the three characters is deeply repulsive in their own way. Gregory is arrogant from the outset; Kasper, it turns out, would prompt reproving looks from Iago for his Machiavellianism; Timby, whatever his internal demons may be, is made to appear unforgivably weak and uniquiring seeing as the audience has access to all the information he needs to know but doesn’t. Pity for Gregory is not even aroused in the audience when he is on the verge of being expelled from the university. And this is where the narrative begins to apply pressure to an audience’s sensibilities. Should Gregory be punished for his actions? Almost certainly. Is Kasper’s campaign of personal revenge justified? Probably not. Given that “college” (a somehow sinister, off-stage entity) didn’t begin to take the problem seriously until Kasper enacted his vendetta, was such action justified? Good question. The texture of the performances were, it seemed to me, largely bound up with the staging. Trying to get a sense of the right scale in a room not designed for performance, and the Habakkuk Room at Jesus College seems to have been designed for anything but performance, is difficult at the best of times. In such an emotionally fraught play, though the performances were competent and truthful, they occasionally felt a little large for the room. This was accentuated by the decision to stage it in-the-round with a very small acting space in the centre of the concentric circles of chairs. The play is interested in orbits and social circles so it was the right decision on thematic grounds but it did mean that there was no distance whatsoever between the audience and the actors, a sense compounded by the actors walking among the audience at various points, making some of the expressions of rage veer slightly towards melodrama. Nonetheless, the intimate staging drew attention to a central aspect of the text. By drawing characters in such sharp contrast and giving them very little psychological common ground with each other, the play invites an audience to make choices: one cannot sit on the sidelines. This is a stimulating piece. Some will level a charge of narcissism, depicting the Oxford humanities undergraduate experience as it does, but I’m inclined to think of it as self-critical rather than self-reflexive. All in all, it is a fine addition to the Turl Street Arts Festival and, with some judicious revisions at some point in the future, could be an even more impressive show.